Four of late Iraqi-born British architect Zaha Hadid’s abstract paintings have been repurposed into virtual reality installations at London’s Serpentine Sackler Gallery, in partnership with Google Arts & Culture. The idea for the posthumous exhibition came from a conversation between Serpentine Galleries’ director Hans Ulrich Obrist and the late Zaha Hadid. Working with French digital production agency Novelab, the exhibition takes the early paintings of Hadid and translates them into futuristic, 360-degree virtual reality films experienced using an HTC Vive headset. The exhibition covers new ground in the world of virtual reality and abstract fine art. Hadid made history as one of the world’s most prolific contemporary architects before succumbing to a heart attack in March 2016. She was the first woman to receive the Pritzker Architecture Prize, comparable to the Nobel Prize of architecture, in 2004, and received the UK’s most prestigious architectural award, the Stirling Prize, in both 2010 and 2011. 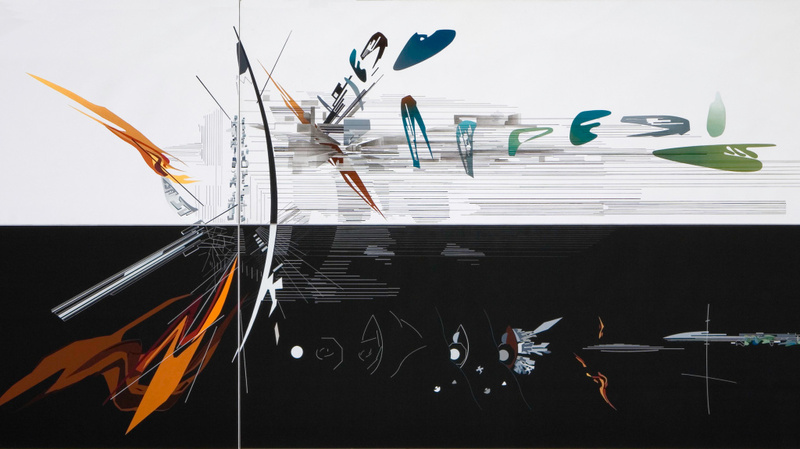 Zaha Hadid: Early Paintings and Drawings is on display until February 12, 2017 at the Serpentine Sackler Gallery—a space created by the late architect in 2013, by renovating a 200-year-old former gunpowder store.